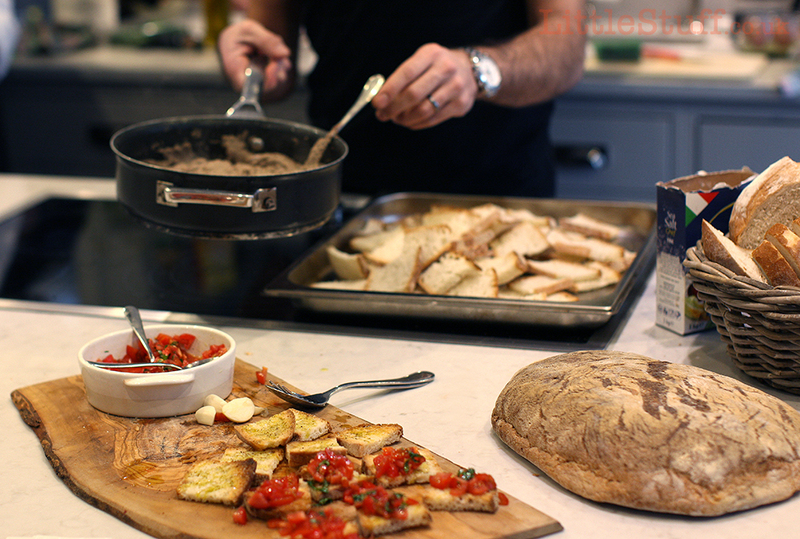 Home » Entertaining » A Perfect Italian Menu (by some lovely Italians!) – Simple, Easy, Bruschetta Recipe. Last week, thanks to BookingsForYou, we spent a day having a fabulous meal prepared for us by a family of Italian chefs. Not only that, but the team from Giovannini Enterprises were teaching us how to cook the menu. And giving us the confidence that yes, this really is food we can make for our own families. And oh my goodness does it taste good. 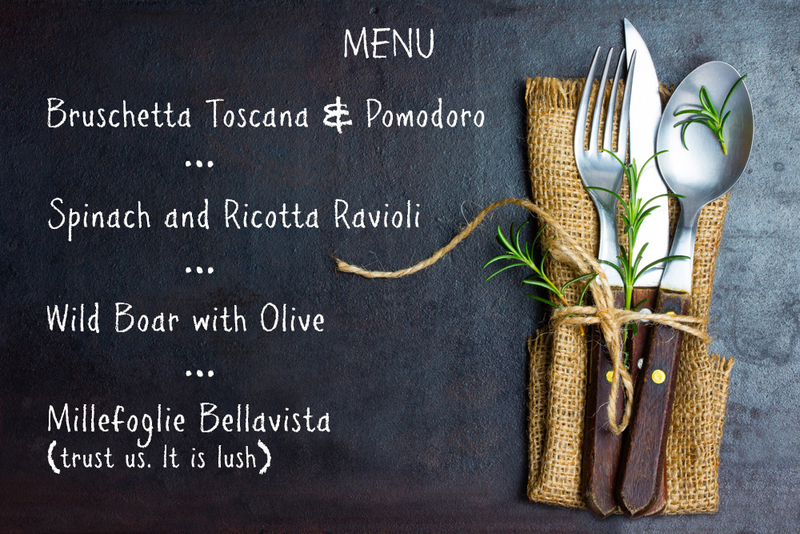 So here’s the first of our four part special on an amazing Italian meal you can totally cook yourself – and amaze your guests with your top notch Italian Cheffing Skillz. If you’ve been to Italy, you’ll have eaten them at the start of your meal – those lovely little toasted slices of heavenly crisped bread with a variety of madly delicious simple toppings. Always with incredibly smooth and subtle olive oil, a shimmer of garlic I’ve never been able to reproduce and often bursting with fresh ripe tomato. These are two of my favourite toppings – I had them all the time on our Italy road trip, and yet have never made them myself. Not any longer! The initial step for both of these is the same; the bread base doesn’t change. I’ve never been able to find proper Tuscan bread here in the UK (it’s made without salt to act as a plain base for the flavoursome Tuscan recipes), but a decent rustic Sourdough works perfectly. 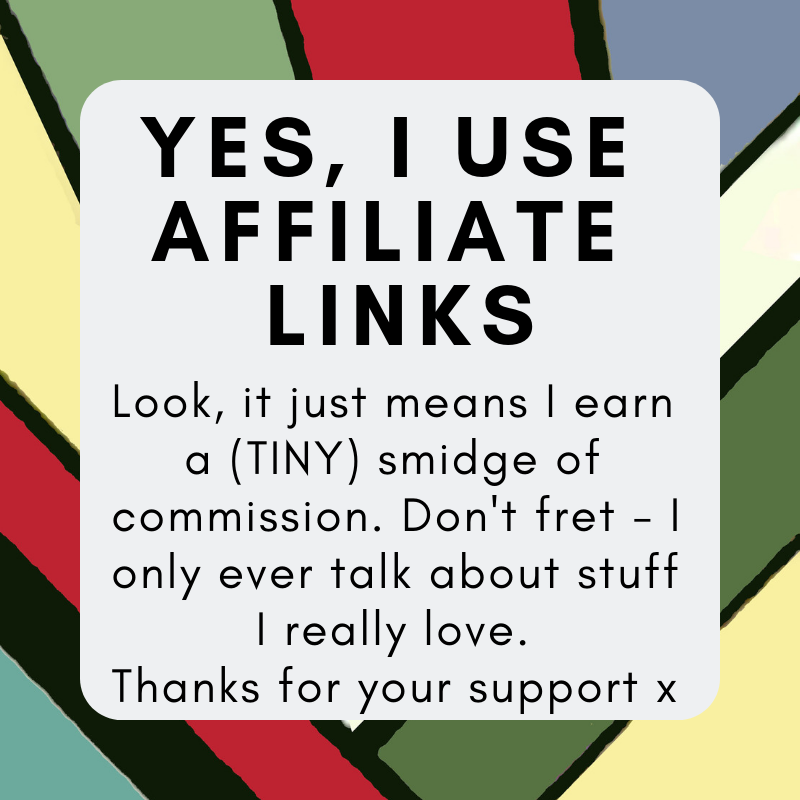 And feel free to leave it for a day, it helps if it’s not too fresh. Slice it around 1.5cm thick (you want a crisp and toasted outside, but a soft centre, you’re not making crispbreads! ), and toast it. 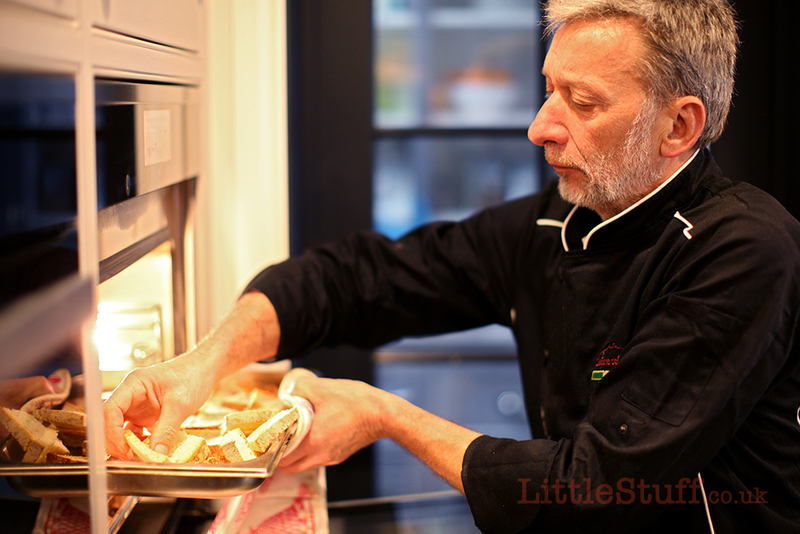 A regular grill is fine, a griddle works – and as you can see above, when you’re catering for a party then simply popping a baking tray in the oven and turning them regularly works for Giancarlo Giovannini! Take the hot toast and simply rub a garlic clove across the slice. I’ve read this method, but never believed it until I saw it (and tasted it). One clove, and simply rub it very gently across the face of the bread once. Don’t over do it. Lay the garlicked slices in a dish, and sprinkle a decent amount of sea salt; not too fine, you want to see the flakes you’re sprinkling. Generously grind some black pepper across the dish, and then add the olive oil. Be sure to only use the very best olive oil you can find – it’s what makes this dish. Before you make the toast, simply mix all of these ingredients in a bowl. The Giovannini family shrugged eloquently when I asked them for specific amounts – everyone makes it slightly differently, these are the amounts I estimated as I watched Fabiola work. Go ahead and play with them to find what works for you. The important thing is to use the best tomatoes you can find – they need to be really good, properly tasty ones, not those pale pretend tomatoes so often found in a supermarket. Splash out on those vine-ripened richly coloured posh ones. You’ll thank yourself. Chop the tomatoes into a bowl, then add the rest of the ingredients with a splash of olive oil to combine them. Leave them to soak and combine flavours while you toast your bread. You can make the topping a few hours ahead, and leave to infuse the rich flavours. Once your bread is toasted, simply add a spoonful of the tomato mix to each slice. I know, it doesn’t even sound like a recipe, does it? So so simple. And yet, as long as you’re using the best individual ingredients you can find (easy in Italy, admittedly a little trickier in January in the UK), the combination is a party of flavours and textures in your mouth.